The building was not extensively explored or photographed. Security regularly patrolled along J Road therefore making its northern flank very exposed; whilst the southern flank was open to view from K Road and Constant Road. The cooling towers were also the largest building in the area and were not obscured by other buildings. Therefore it would’ve been easy for security to see anyone on the roof from their security rooms (building 506). Therefore an exploration of the roof was ruled out. However, the Air House Cooling Towers were tucked away in the south-western part of the site and were not so exposed. These were explored more extensively. 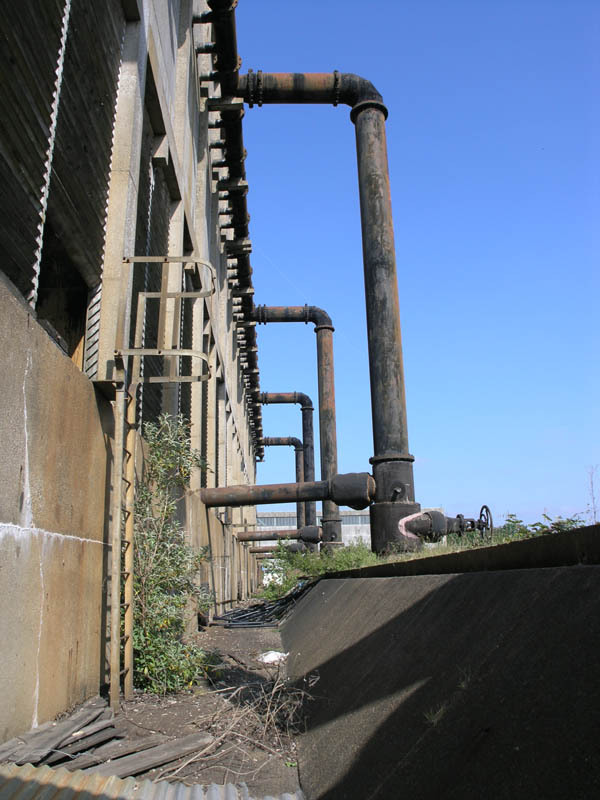 Trench along the southern flank of the Bramshot Cooling Towers.